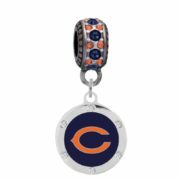 Chicago Bears Round Crystal Charm $18.99 ea. 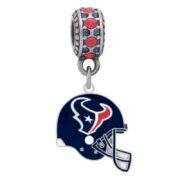 Houston Texans Helmet Charm $17.99 ea. New Orleans Saints Logo Charm $17.99 ea. 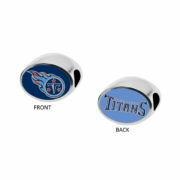 Tennessee Titans 2-Sided Bead $29.99 ea. 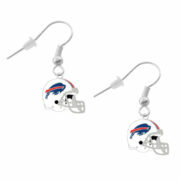 Buffalo Bills Helmet Earrings - Pierced $9.99 ea.